A branch of Huashan Hospital, one of the leading local public hospitals, started trial operation in Shanghai Hongqiao International Medical Zone in Minhang District today. A branch of Huashan Hospital in the Hongqiao International Medical Zone started trial operation today. The 800-bed facility aims to become a national neuroscience center, a leading medical trauma center for the Yangtze Delta Region, and a valuable regional medical center for the entire Hongqiao area, which is fast becoming a big traffic and commercial hub. 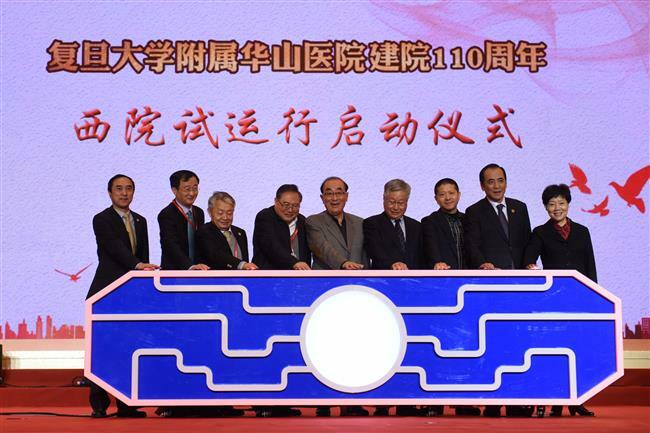 To meet the rising demands for health services and improve local medical capabilities, Shanghai is building two international medical zones — one in Hongqiao and one in Pudong — by introducing the best facilities from home and abroad, officials said today while celebrating the hospital’s 110th anniversary. Many international and joint-venture hospitals and clinics will also be located within the two medical zones. 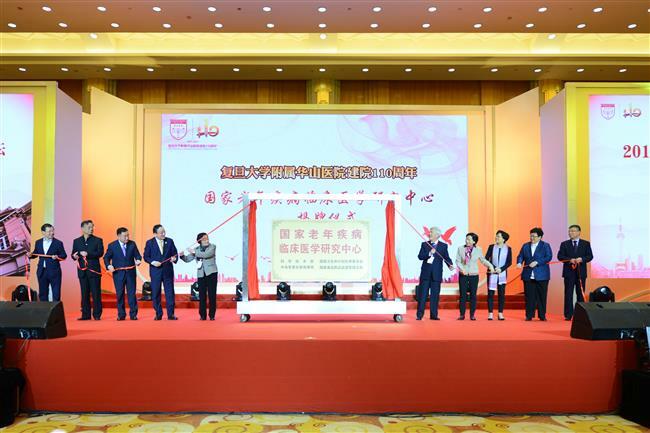 Also today, a national senior disease clinical research center was established within Huashan Hospital as a base for scientific innovation, clinical research, academic communication, talent cultivation and new technology development and promotion. “We will team up with other leading facilities and hospitals to do big-data research and policy study targeting major diseases closely related with seniors' health,” Dr Ding Qiang, Huashan’s president said. This will include diseases like cerebral vascular disease, joint disease and disability and rehabilitation, as the nation becomes an aging society with a large number of elderly citizens. Officials pull the curtain to announce a national senior diseases clinical research center, established in Huashan Hospital today.